Lately in US time attack, it seems all the progress has been happening in street class and FWD. Part of that I think is due to the high bar set in unlimited and rule changes in mod/limited. When the Hankook Ventus TD came out, there was a huge drop in ltd class lap times, with a bunch of cars going between 1:44 and 1:48 in 2014-2015. The one that really stands out is Professional Awesome with a 1:42.694 in 2015. After that, the TD and flat botttoms were banned, and we’ve seen a definite slowing down of times. They’re pretty much back to where they were 10 years ago and now street class is going that fast. Unlimited class teams like Sierra Sierra, Lyfe Motorsports, FXMD, and GST built incredible cars, set records, and then have not been back to superlap for years. 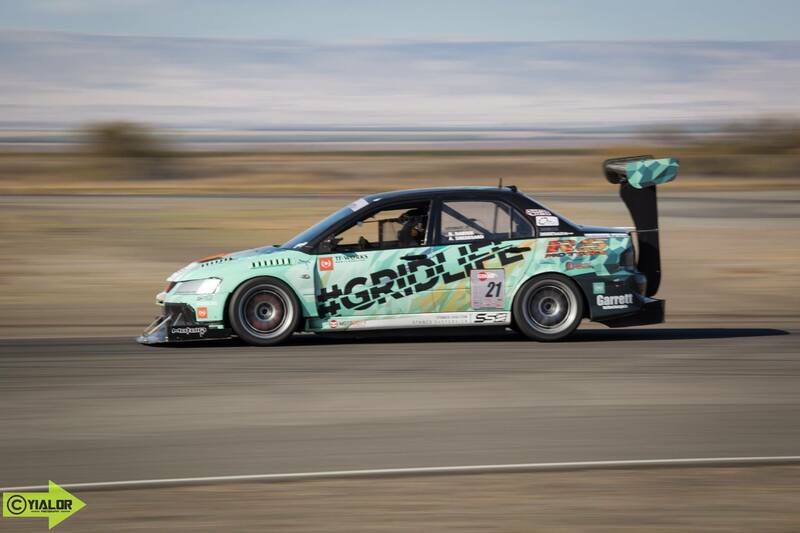 The new crop of cars have been getting closer to the overall, but at Buttonwillow, and many other tracks, old records still stand. This year the stage was set for a potential new fastest time and a great AWD battle between Jager Racing/Yimisport, Andy Smedegard, and Professional Awesome, But Jager and ProAwesome were plagued with mechanical issues during the event. Andy appeared to be able to run consistently and reliably both days and put down a best time of 1:40.051, which was enough for the overall win and is the 3rd fastest time ever. Mark Jager and Jeff Westphal in the Pro Awesome Evo both managed a few good laps after installing new engines overnight, but were not able to improve on previous times. I hear Jeff was on pace for a sub-40 when engine 2 blew up and the evo burst into flames coming out of the esses. Street, like ltd/mod, is another class where tire technology resulted in big jumps in lap times. First, it was the Advan AD07 and 08. Then the Hankook RS-3 came out we saw a few seconds of improvement. Now we have the Bridgestone RE-71R, which might be sticky enough to be used competitively in limited. In 2015 Tony Fuentes went 1:48.802 on a set in an S2000, which is still the overall time to beat in street class. Street AWD has been a little more exciting, with the record changing hands every year since 2012. First it was Alex Peng with a 1:54 beating the 2010 time set by Martin Musial’s no-expenses-spared AMS evo X. Then Brian Bengali improved on Alex’s time in the same Massimo Power evo. 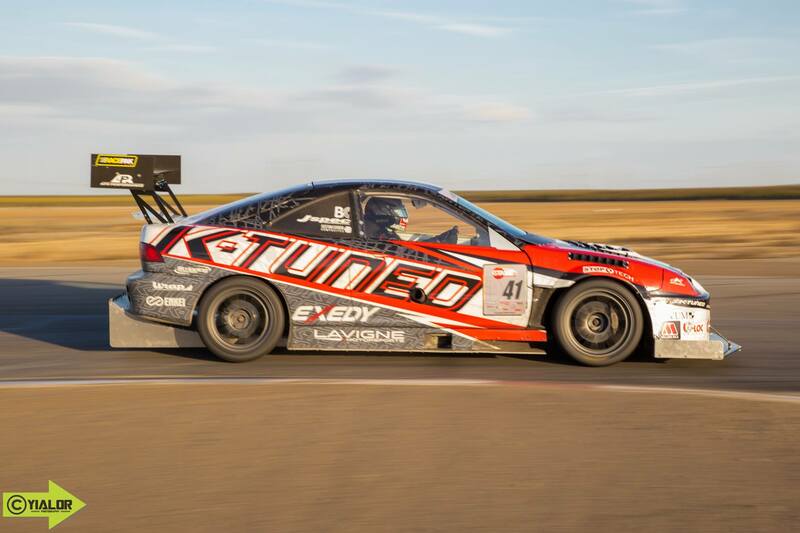 2014 saw Mark Jager take the record in a Subaru after a long line of evos, and then last year it was Cody Miles in his Airlift Performance STI. This year, Markos Mylonas edged out the old time by half a second with a 1:49.353 in his Snail Performance WRX. FWD is another category where a lot has been happening, with new records in unlimited and ltd the last few years. In unlimited, Chis Rado’s time from 2010 in the wild, front winged, 1000hp Scion seemed untouchable. Then, in 2015, Dai Yoshihara managed to top that by over a second in the fairly mild Spoon Sports Civic. That Civic got a pretty big overhaul, going to a center drive position and bigger turbo among other things, and while they improved by a second, did not quite get a lap at their full potential. Last year, William Au-Yeung brought his Civic from Canada and set an even faster time of 1:43.3 which is notable as the first FWD car to go faster than the HKS EVO. This year he took that car (with some pretty significant improvements, especially in the aero department) to WTAC in Australia and finished 2nd in Pro-am. We’re looking forward to seeing what it can do at Buttonwillow. 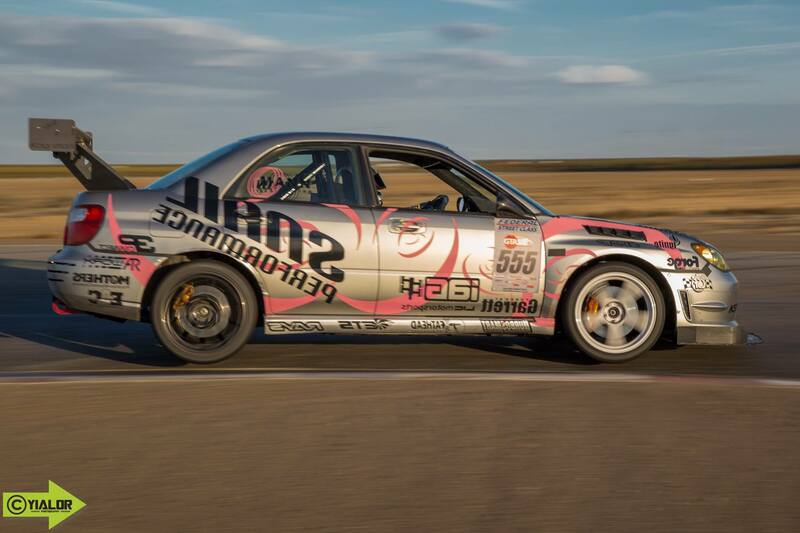 James Houghton, another Canadian, was last year’s runner up and only a few tenths behind Will in his Integra. He was back this year, got the win, and took a full second off Will’s time with a lap in 1:42.288. Only about 6 cars have ever gone faster than that. This Integra does more with less and proves there’s much more to going fast than sticking a huge wing and splitter onto a 1000hp car (although those things all certainly help). Going down to mod/ltd FWD, we’ve seen a similar story. Tim Kuo and Sportcar Motion held the top spot for years until a Canadian came down and took the win. 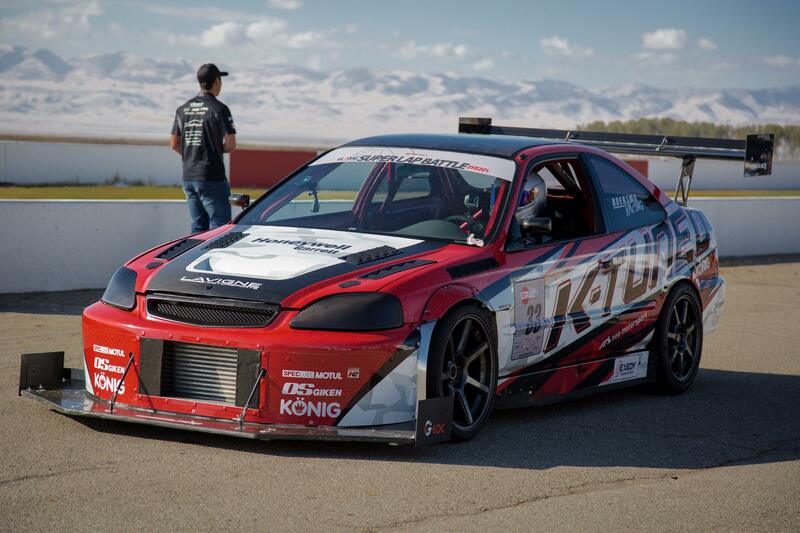 That was also Will Au-Yeung, but in his other really fast fwd time attack car, an Acura RSX. Then Chris Boersma has won and set a new record the last two years, which now stands at 1:48.424. That’s not just fast for FWD- excluding the Ventus TD times it’s among the fastest limited cars regardless of drivetrain. This entry was posted in Records, Time Attack by jamal. Bookmark the permalink.